Whenever I open up my inbox at work, I’m never surprised to find several new messages waiting to be read. The same thing can’t always be said about my personal Gmail account. Sometimes I end up checking my mail only to find nothing new there. No big deal, really. But now imagine that you access Gmail on a super slow connection from a remote place in Ethopia where it might take minutes to completely load your inbox. The disappointment is larger when you find out that there is nothing new to read and you could have saved all that time. To ease this pain a bit, Google created a new feature in Gmail Labs called Inbox Preview. While Gmail is loading, a simple, static preview of your inbox with your ten most recent messages is displayed. Turn it on from the Labs tab under Settings, and if you’re on a slow connection you’ll know from the start if it’s worth the wait. she can’t take anymore, she closes the door. but there are words that i can’t speak. i just want to see you happy, i just want to see you happy. to ease all her pain, to take her away. I would cry a million tears just to see you happy. Standing at a bus-stop, have you ever wondered if you could take a ride in one of the empty self-driven cars going past you ? Driving a car, have you thought of sharing the cost of your fuel and car by giving rides to people going the same way ? Staring at the red lights and looking around, did you wonder if you could ask the person in the next car if he is going the same way. We all can save fuel, parking space, reduce pollution and save the environment by sharing rides and pooling our cars. DelhiCarPool.com is an initiative to bring together lone-drivers, or ride-seekers on a common platform and network amongst themselves to save fuel and costs by pooling cars and travelling together on the same route. This not only helps you to save costs, but also helps us to protect environment and reduce pollution. It further helps us to de-congest the roads. They celebrate, cherish every moment of this …. they proved their critics wrong …..Gilly is the man of the moment ….lost the toss earlier but not hopes… batting disappointed him…. he got out for a duck …. but some great bowling by RP, Harmeet, Ojha and Symonds got them back in the game …..
Kumble, Taylor, Virat ….great show guys…. but wasn’t sufficient enough to take away the crown…. Deccan Chargers beat the Royal Challengers Bangalore by six runs in a dramatic finish at the Wanderers in Johannesburg to become the champions of the Indian Premier League, 2009. Chasing 144, Bangalore could manage 137. A forward email, states what does I love you means and that too how important it is to give our loved ones the time that they deserve and that too at right time. ‘What’s wrong, are you well,’ she asked? My mother is the type of woman who suspects that a late night call or a surprise invitation is a sign of bad news. When I arrived at her house, I noticed that she, too, seemed to be nervous about our date. She waited in the door with her coat on. She had curled her hair and was wearing the dress that she had worn to celebrate her last wedding anniversary. ‘I told my friends that I was going to go out with my son, and they were impressed, ‘she said, as she got into the car.. ‘They can’t wait to hear about our meeting’. We went to a restaurant that, although not elegant, was very nice and cozy. My mother took my arm as if she were the First Lady. ‘It was I who used to have to read the menu when you were small,’ she said. ‘Then it’s time that you relax and let me return the favor,’ I responded. During the dinner, we had an agreeable conversation – nothing extraordinary, but catching up on recent events of each other’s life..
We talked so much that we missed the movie. As we arrived at her house later, she said, ‘I’ll go out with you again, but only if you let me invite you.’ I agreed. ‘How was your dinner date?’ asked my wife when I got home. ‘Very nice. Much more so than I could have imagined,’ I answered. A few days later, my mother died of a massive heart attack. It happened so suddenly that I didn’t have time to do anything for her. A nice article on what does it means to hold loyalty and perform hard-work in this employee based service Industry. Mr. Gopalakrishnan succeeds Mr. Ratan Tata as Chairman of Tata Sons Ltd., the holding company for many of the Tata Bluechips like Tata Steel, Tata Motors, Tata Power, Tata Chemicals, Voltas, etc.Possibly he is the first non-Tata person to head the Tata Empire. The grass isn’t always greener on the other side!! Move from one job to another, but only for the right reasons. It’s yet another day at office. As I logged on to the marketing and advertising sites for the latest updates, as usual, I found the headlines dominated by ‘who’s moving from one company to another after a short stint’, and I wondered, why are so many people leaving one job for another? Is it passé now to work with just one company for a sufficiently long period? In this absolutely ruthless, dynamic and competitive environment, there are still no short-cuts to success or to making money. The only thing that continues to pay, as earlier, is loyalty and hard work. Does this mean that one should stick to an organization and wait for that golden moment? Of course not. After a long stint, there always comes a time for moving in most organizations, but it is important to move for the right reasons, rather than superficial ones, like money, designation or an overseas trip. Remember, no company recruits for charity.More often than not, when you are offered an unseemly hike in salary or designation that is disproportionate to what that company offers it current employees, there is always unseen bait attached. The result? You will, in the long-term, have reached exactly the same levels or maybe lower levels than what you would have in your current company.A lot of people leave an organization because they are “unhappy”. What is this so-called-unhappiness? I have been working for donkey’s years and there has never been a day when I am not unhappy about something in my work environment-boss, rude colleague, fussy clients etc. Unhappiness in a workplace, to a large extent, is transient.If you look hard enough, there is always something to be unhappy about. But, more importantly, do I come to work to be “happy” in the truest sense?If I think hard, the answer is “No”. Happiness is something you find with family, friends, may be a close circle of colleagues who have become friends. What you come to work for is to earn, build a reputation, satisfy your ambitions, be appreciated for your work ethics, face challenges and get the job done.So, the next time you are tempted to move, ask yourself why you moving and what are are you moving into. * Am I ready and capable of handling the new responsibility? If yes, what could be the possible reasons my current company has not offered me the same responsibility? * Who are the people who currently handle this responsibility in the current and new company? Am I as good as the best among them? * As the new job offer has a different profile, why have I not given the current company the option to offer me this profile? * Why is the new company offering me the job? Do they want me for my skills, or is there an ulterior motive? Google Virtual Street Ride = Street View + Ride Finder ? Google launched Street View in 2007. View street level photographs. Take virtual walks; pan, rotate and zoom through cities around the world. Google Directions help you to print / display path from one destination to other either via road or transit or public transport. Lets combine these both, minds are craving right!. Ya I am talking about something like a virtual drive(not walk) from one destination to other. Just key in source and destination and google using its as usual good complex algorithm and street view data repository create a flash/video of the virtual drive. Just hit a play and sit back and watch yourself traveling. – You may haven’t visited Japan, France, NewZealand or many other street view enabled countries, but would like to view their famous places and have a virtual ride. – Kids can enjoy the flavor of roaming back at home, Parents no more need to take them along all time. Above are just few benefits, just imagine of a virtual drive of your famous destination and you will say “Google please do this for me”, a Google Virtual Street Drive …. Bhaarat ko bacha le Vidhaata!!! This song reinforces and urges citizens to respect India, its greatness and it’s National Anthem. New iPOD Shuffle – It talks to You ! 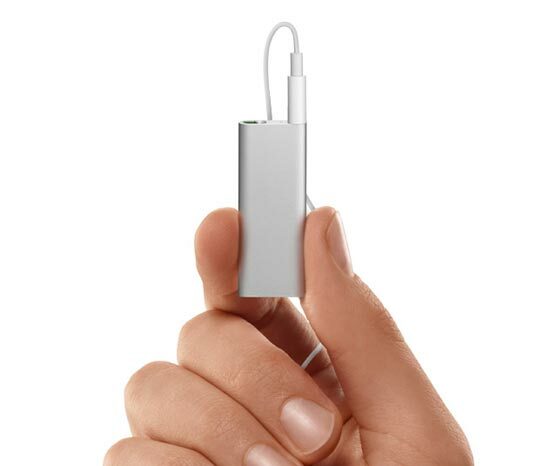 Apple says iPod shuffle is the world’s smallest music player, and the first one that talks to you. VoiceOver tells you song title, artist and playlist names. So little. And yet so much. With the increasing popularity and adoption of the Force.com platform, there’s a huge growth in custom Visualforce pages, in particular pages which require interaction with multiple objects. One requirement that comes up regularly is how to display picklist values from an object when the page is using a custom controller. In order to achieve this, we have to look at the very powerful and useful Dynamic Apex Describe Information capabilities. These capabilities allow us to interrogate a field or sObject, and describe their characteristics. In our requirement above, we want to describe the fields on an object, in particular, a picklist field to determine its list of values.